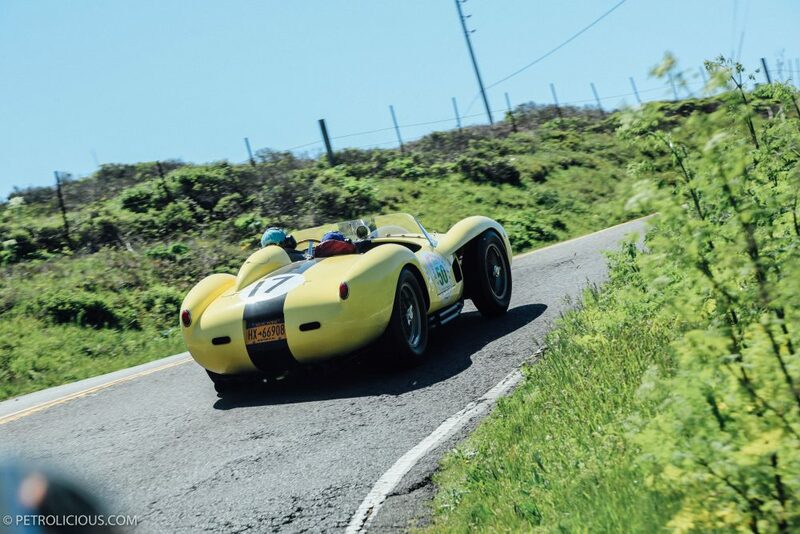 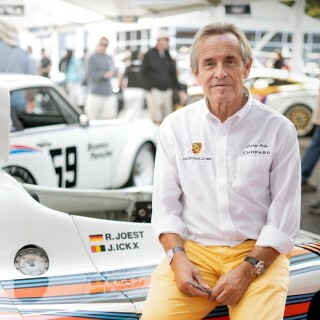 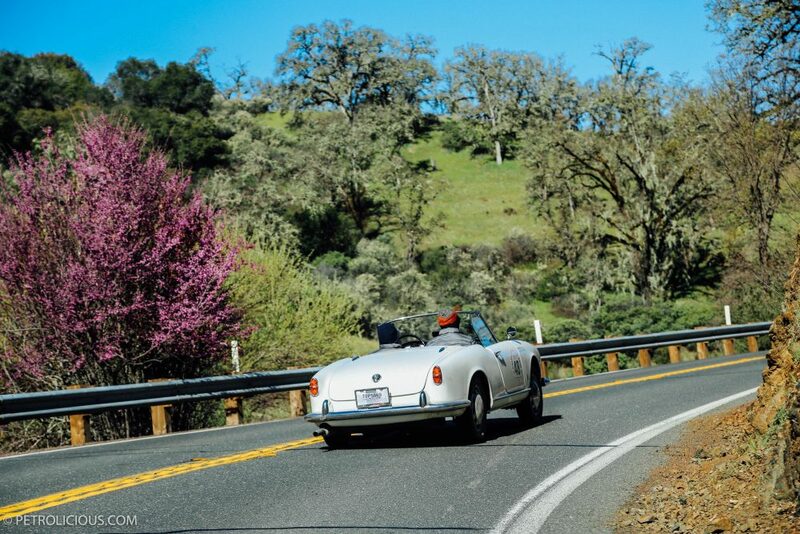 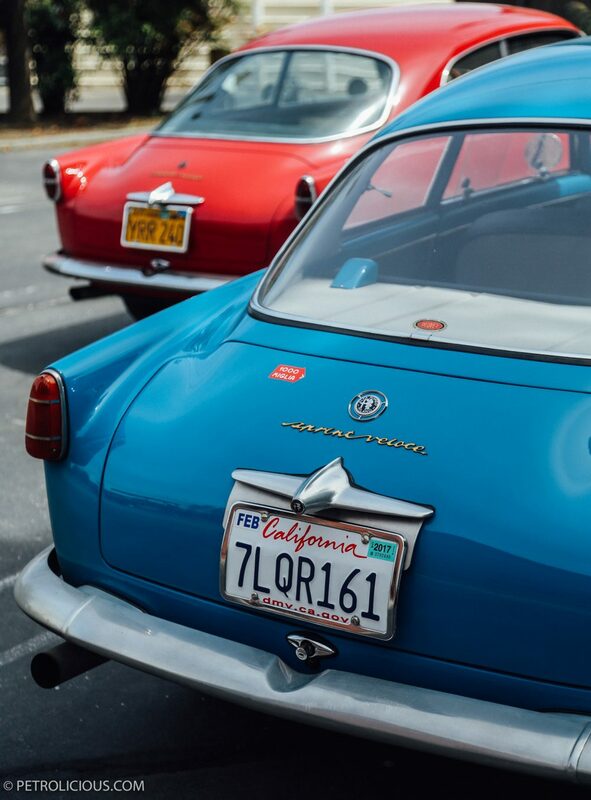 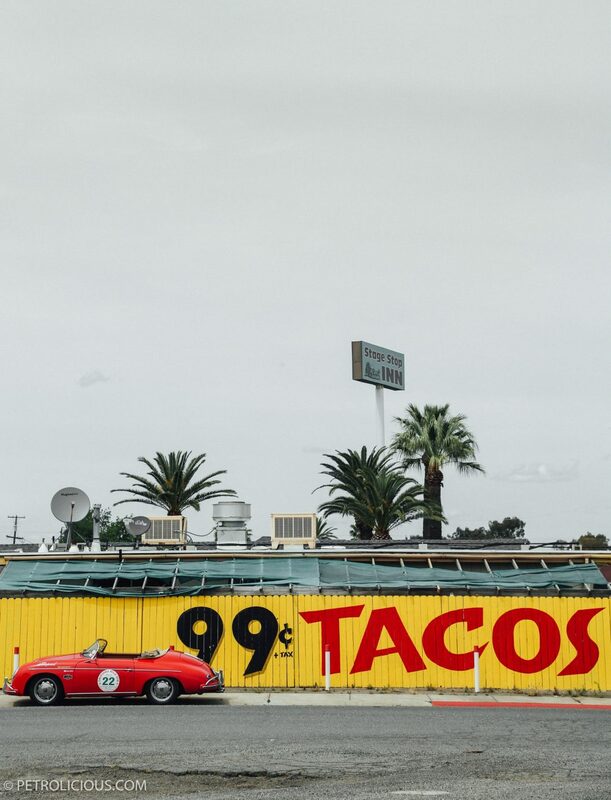 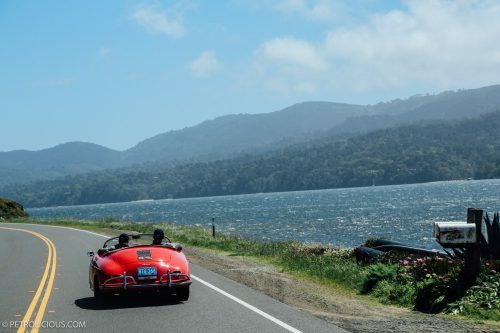 It’s easy to call Californians spoiled when talk turns to cars—we don’t really have an off-season in the meteorologic sense, you can find an automotive event to attend on almost any given day, and there’s no lack of world-class driving roads that can take you from the sun-soaked coastline to the snow-covered pines in the upper reaches of the state’s unique topography within a matter of hours. 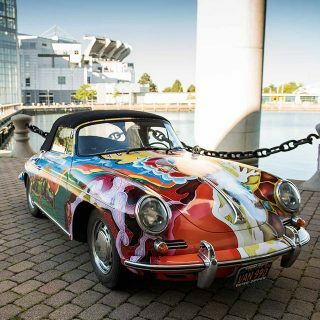 Apparently the scales need some balancing though, and between the thick city traffic and strict emissions standards it’s not all peaches out here. 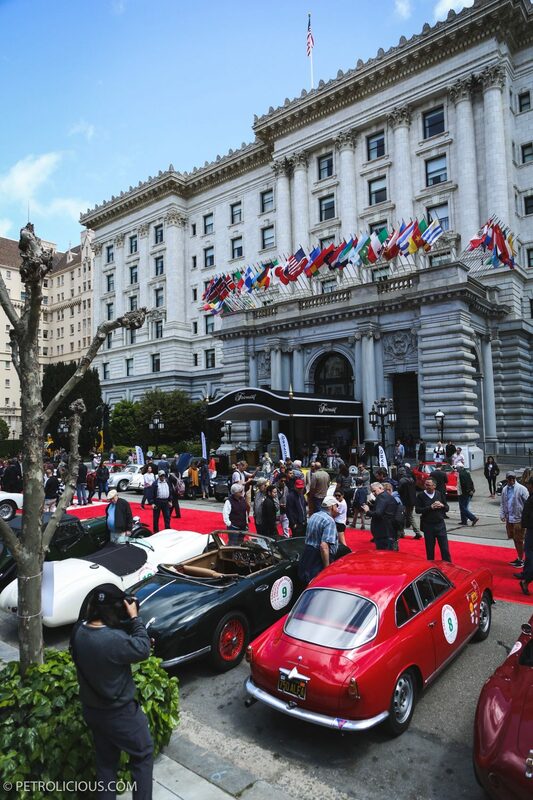 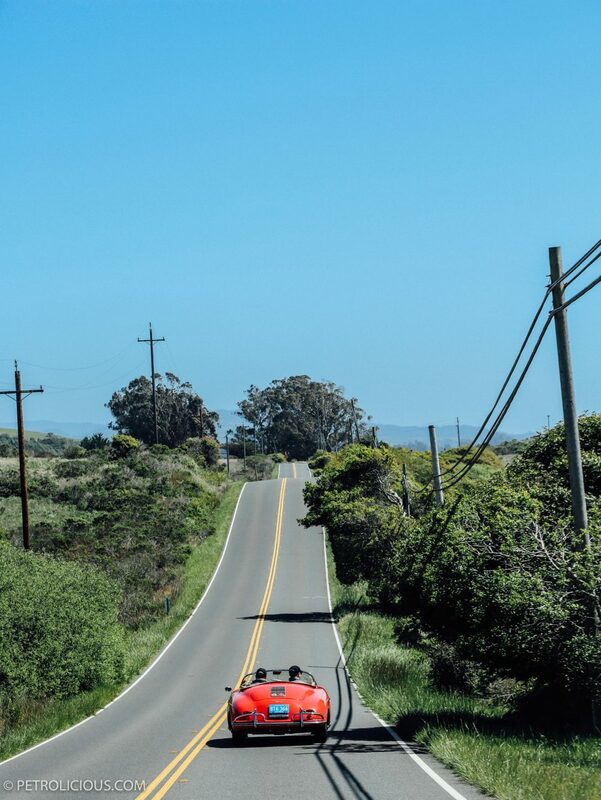 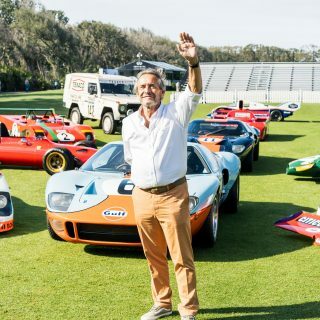 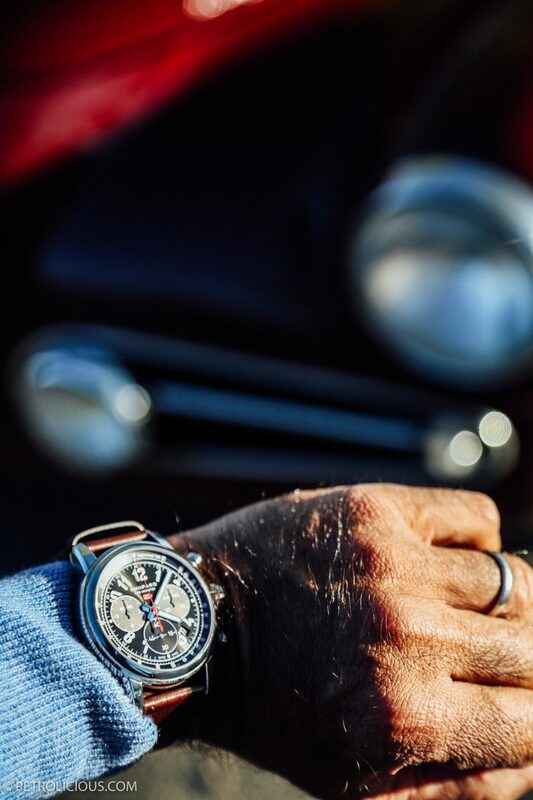 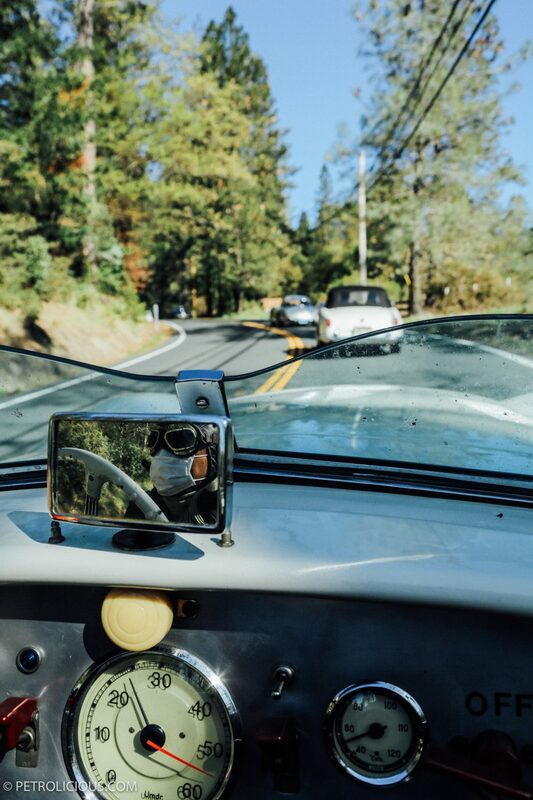 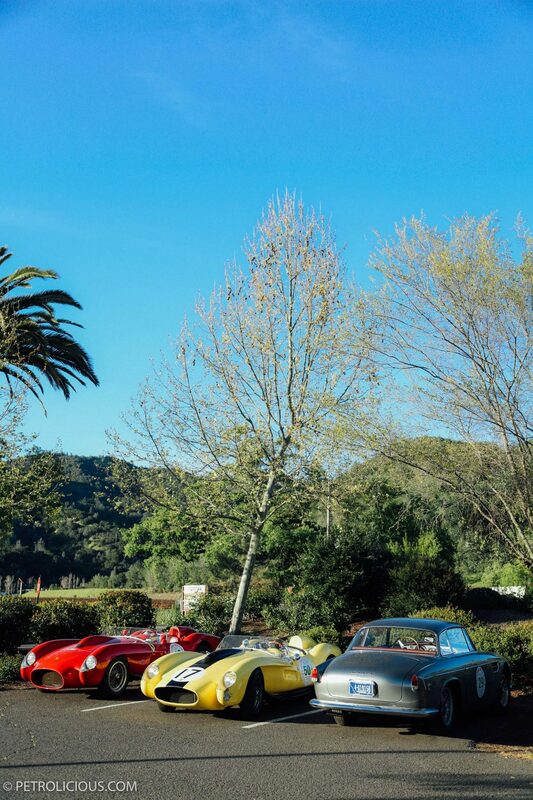 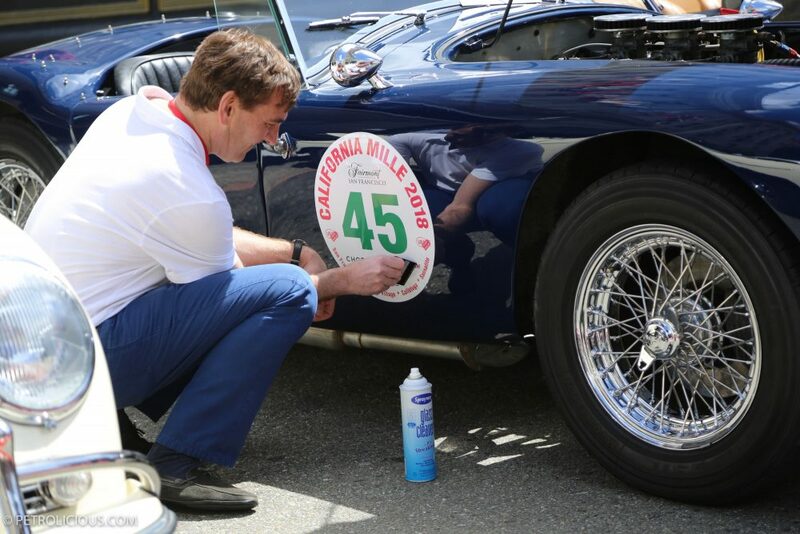 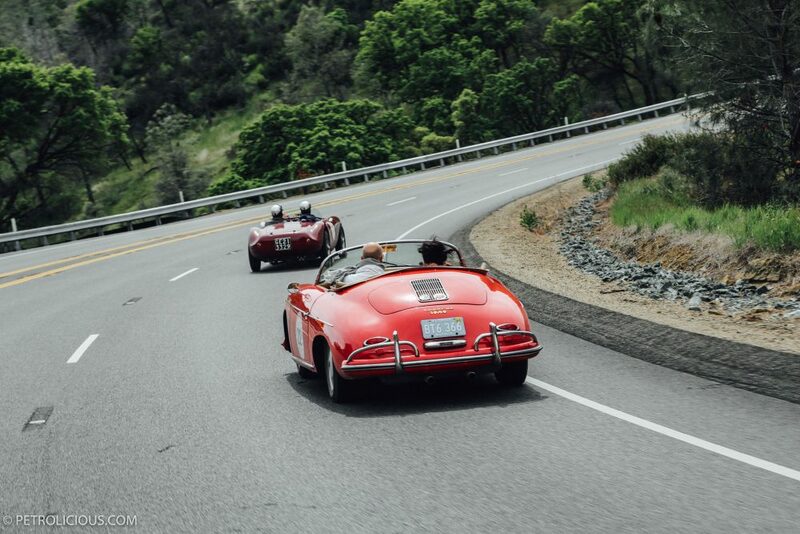 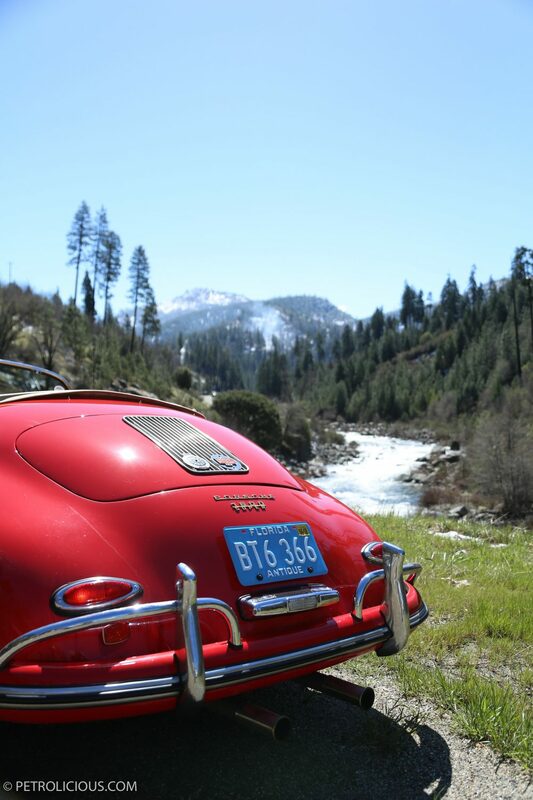 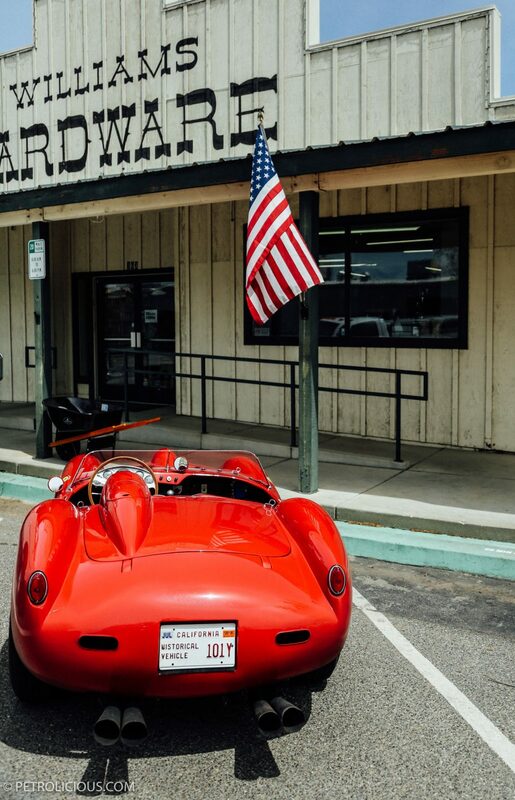 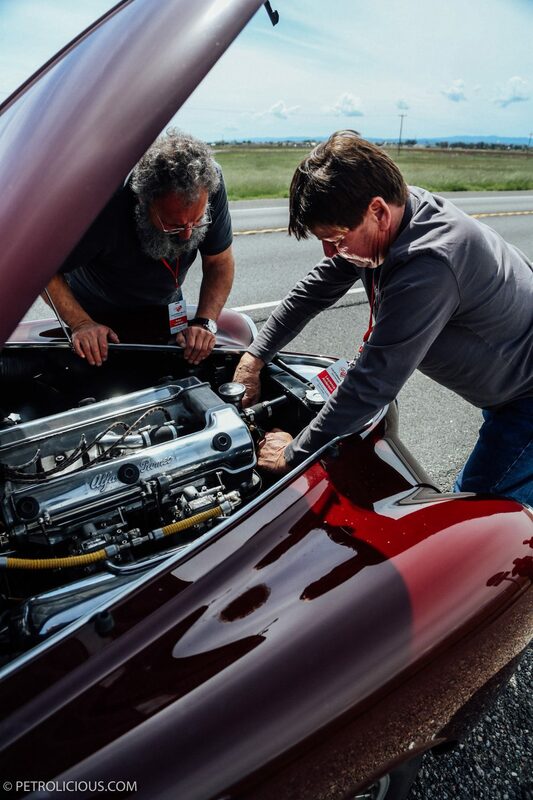 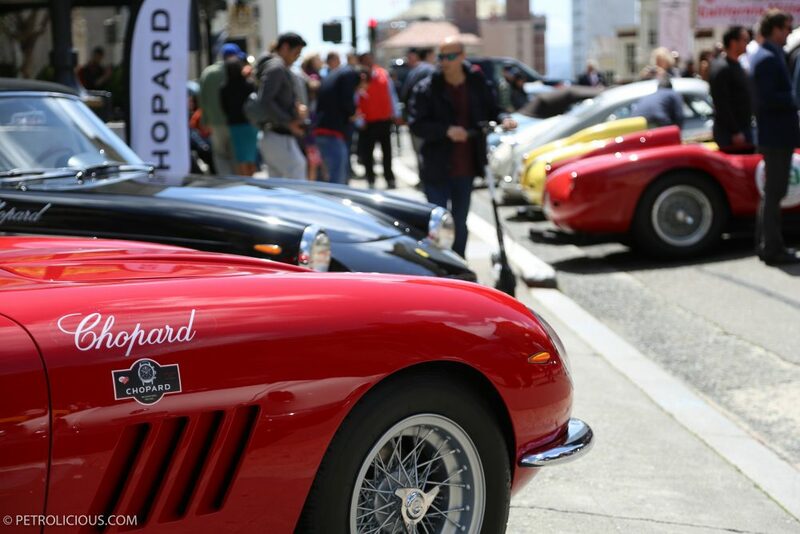 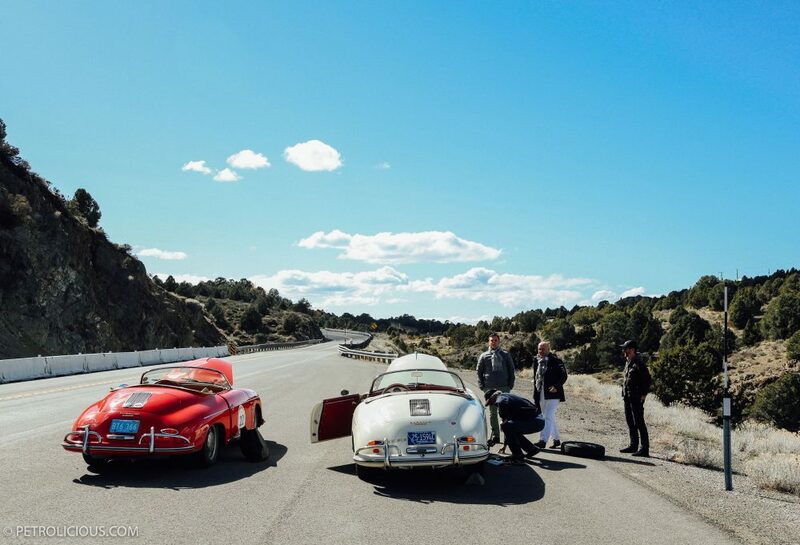 However, the California Mille might just be the perfect west coast driving experience, devoid of the nuisances and fully leveraging the good bits, so when Chopard asked me along for this year’s running the decision to join in was one of the easiest I’ve made. 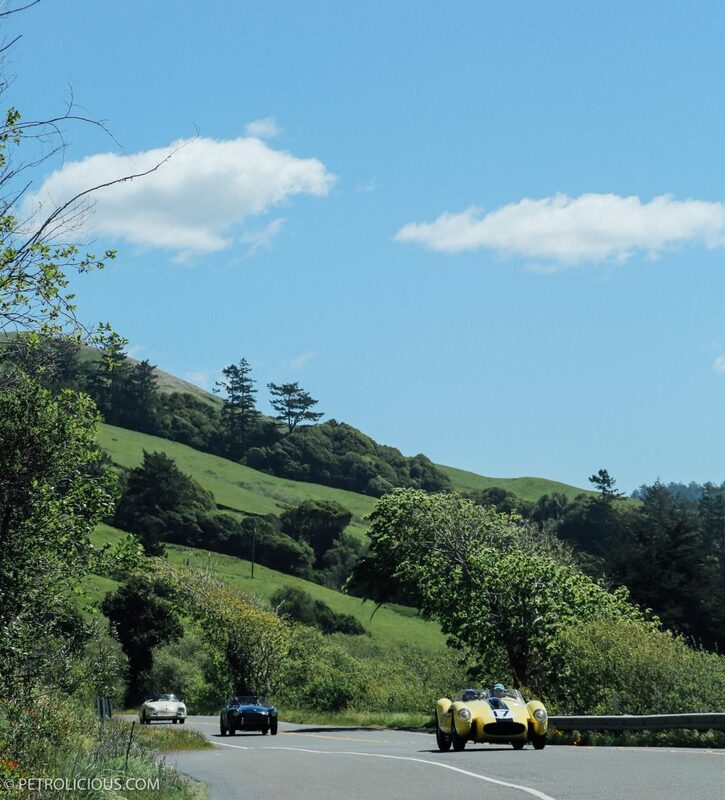 First organized in 1991 by Martin Swig, the original idea was pretty simple: the way to wring the most enjoyment from vintage sports cars is to take them on spectacular drives, so why not gather a selection of classic cars and send them down a thousand miles of supreme asphalt, stopping along the way to enjoy the scenery, the famed NorCal wineries, and the company of good friends with shared interests? 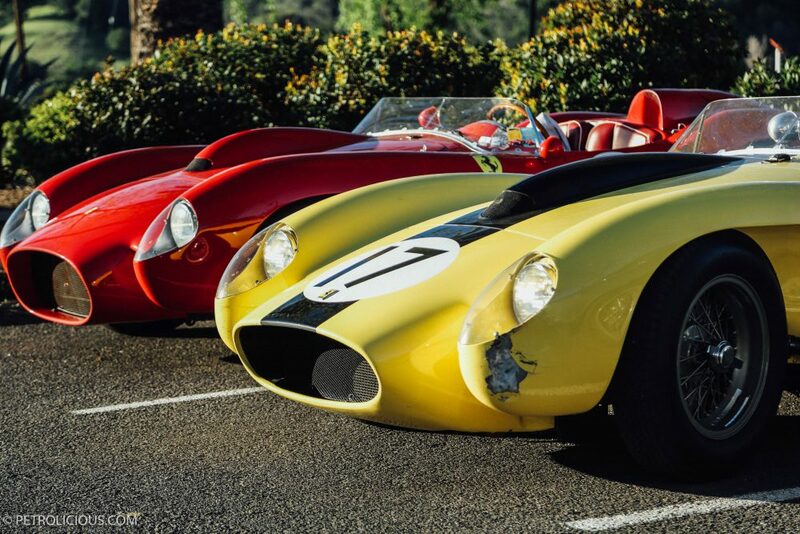 It gained traction quickly, as you can imagine. 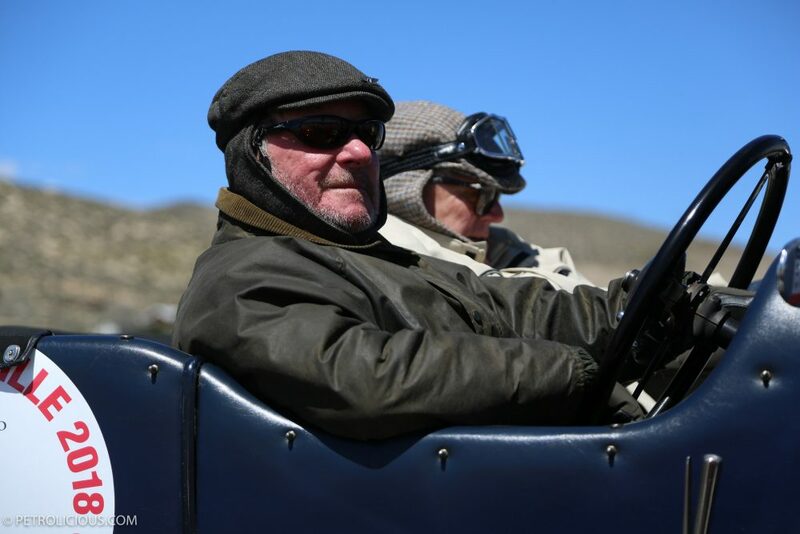 Sadly, Martin passed away in 2012, but his wife Esta along with sons David and Howard have worked hard to keep his spirit in the event, and for locals and international enthusiasts alike the California Mille has upheld its status as one of the best contemporary road rallies on the globe, something I can certainly attest to following my experiences last week. 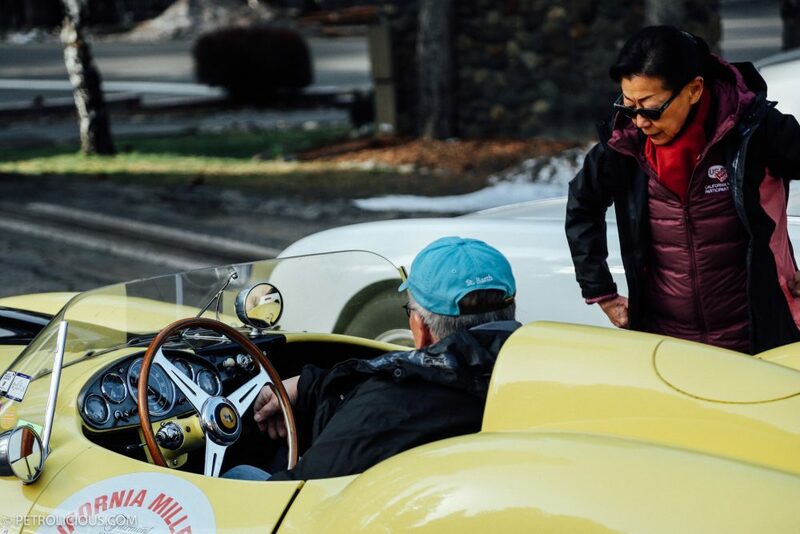 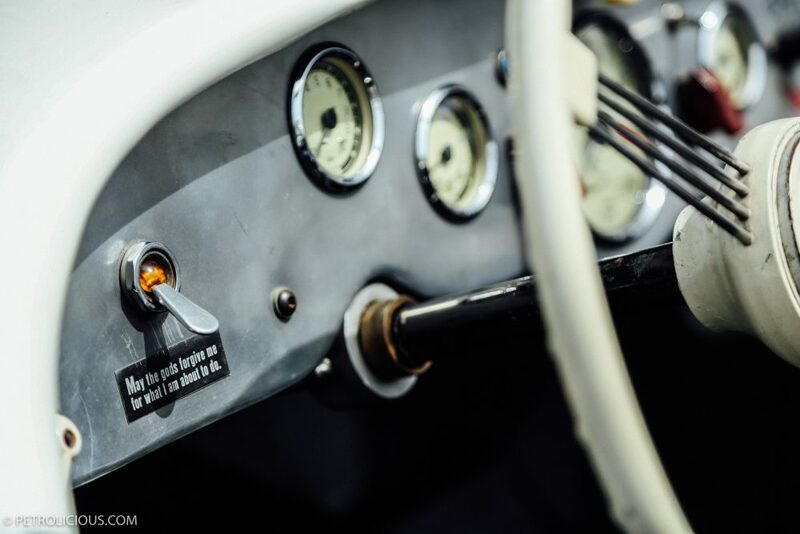 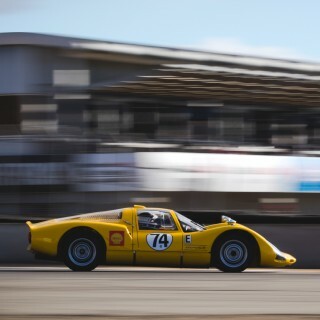 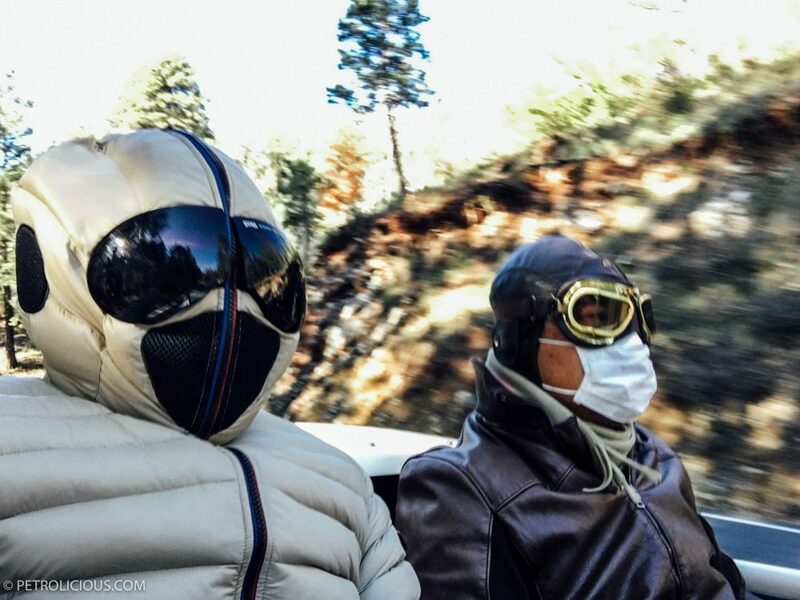 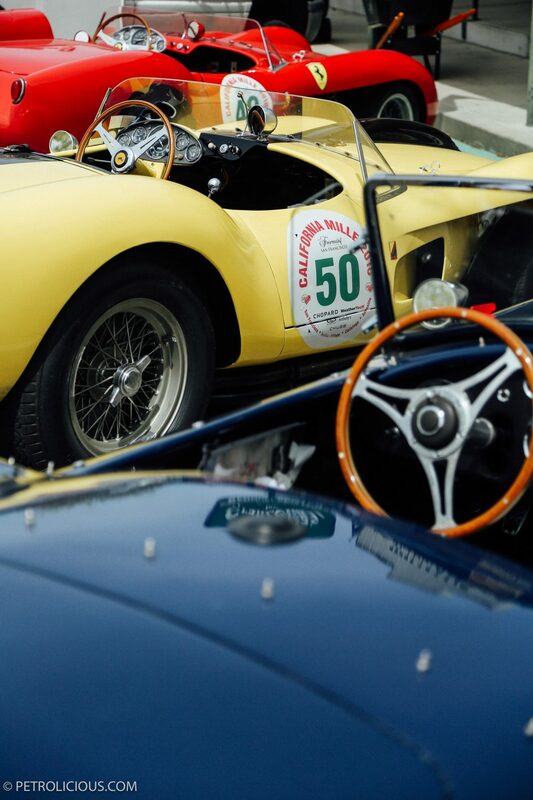 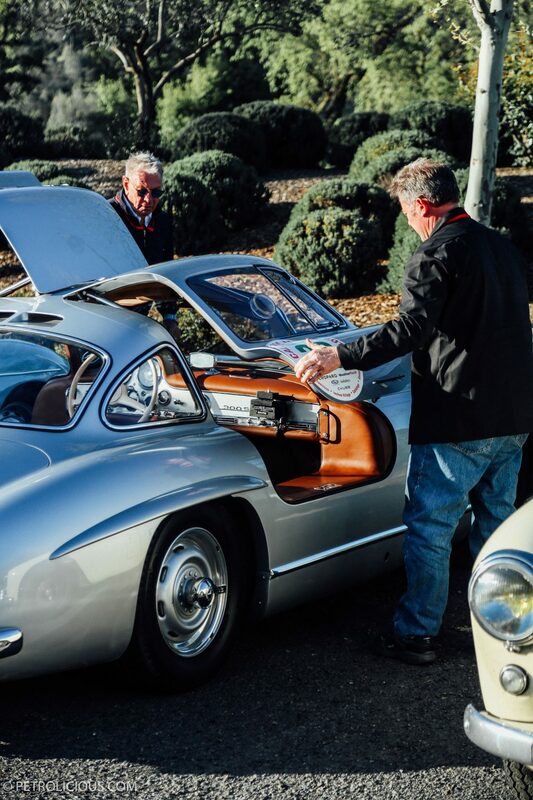 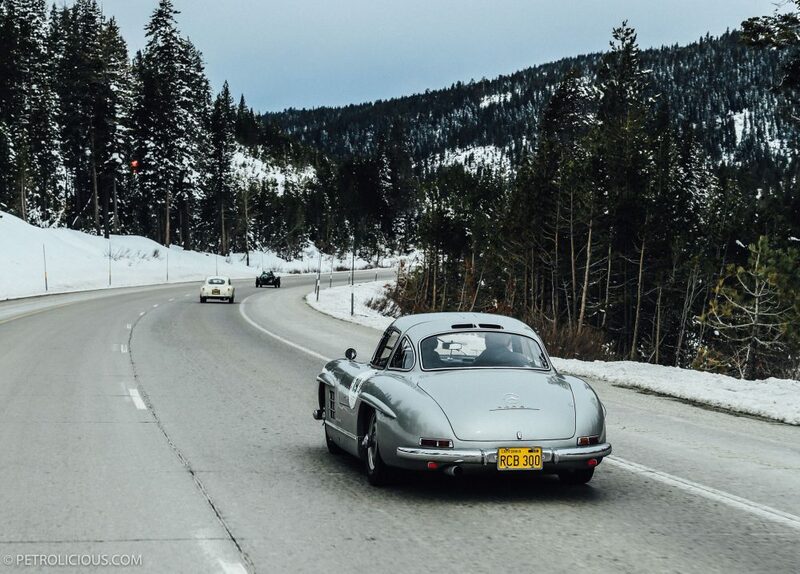 As I expected, the automotive contingent was fantastic—it’s not often one gets to peer through his windshield at a pair of genuine Ferrari 250 Testa Rossas tearing across the beautifully blurred scenery—but the people and the places we passed along the way were the elements that really elevated the four-day drive. 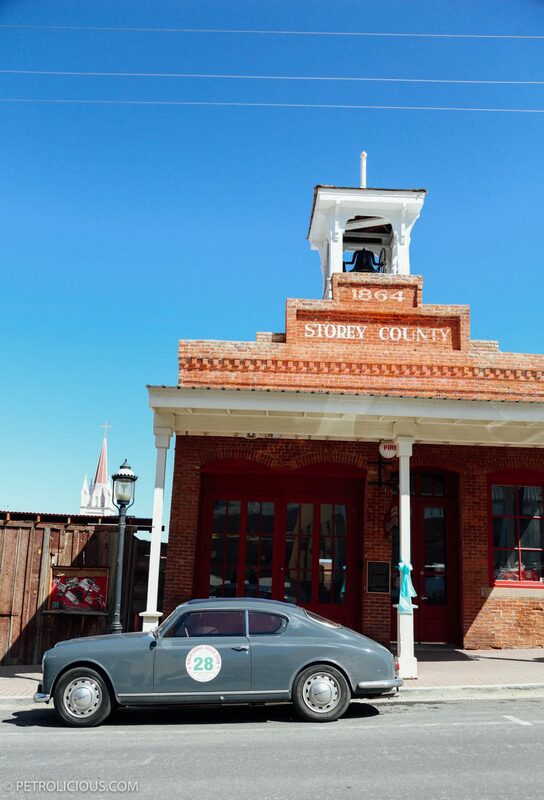 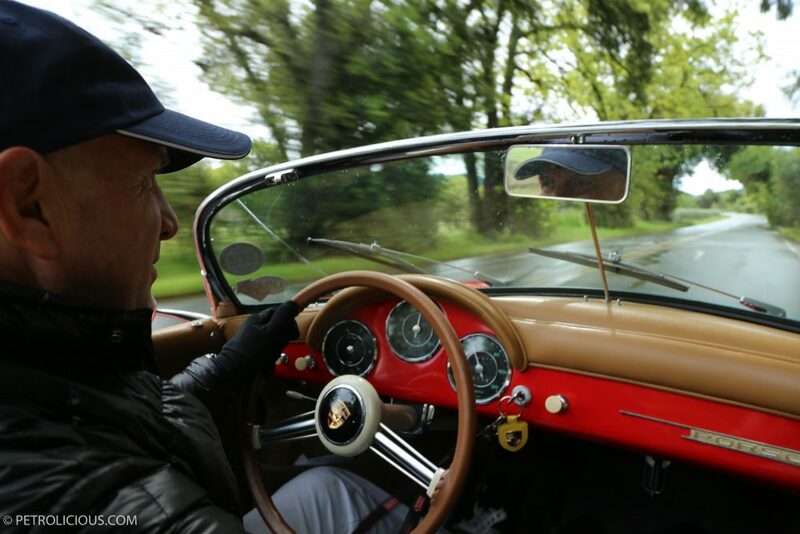 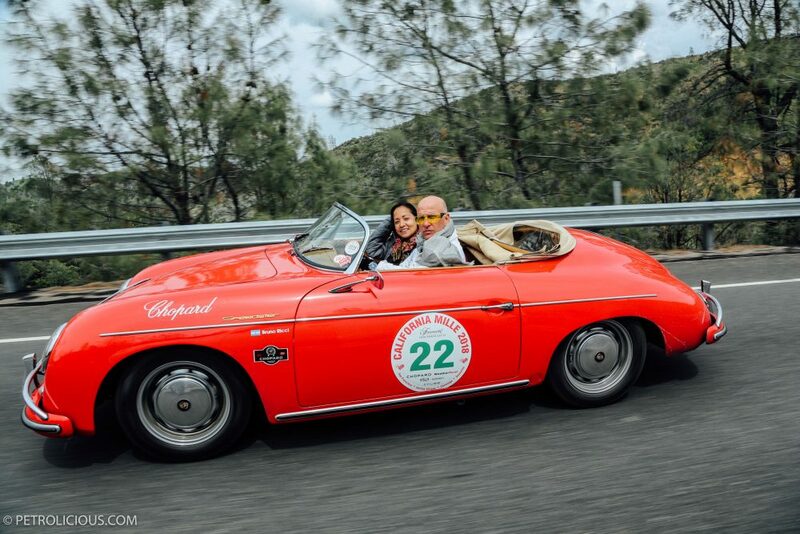 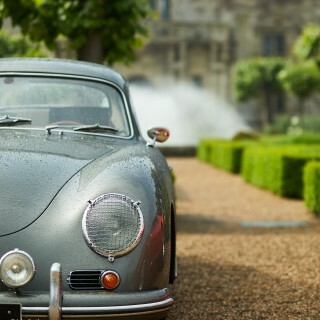 Beginning in San Francisco on the first morning, I was set to share the cockpit of a 1957 Porsche 356 Speedster with its owner, an affable Argentinean named Bruno Ricci. 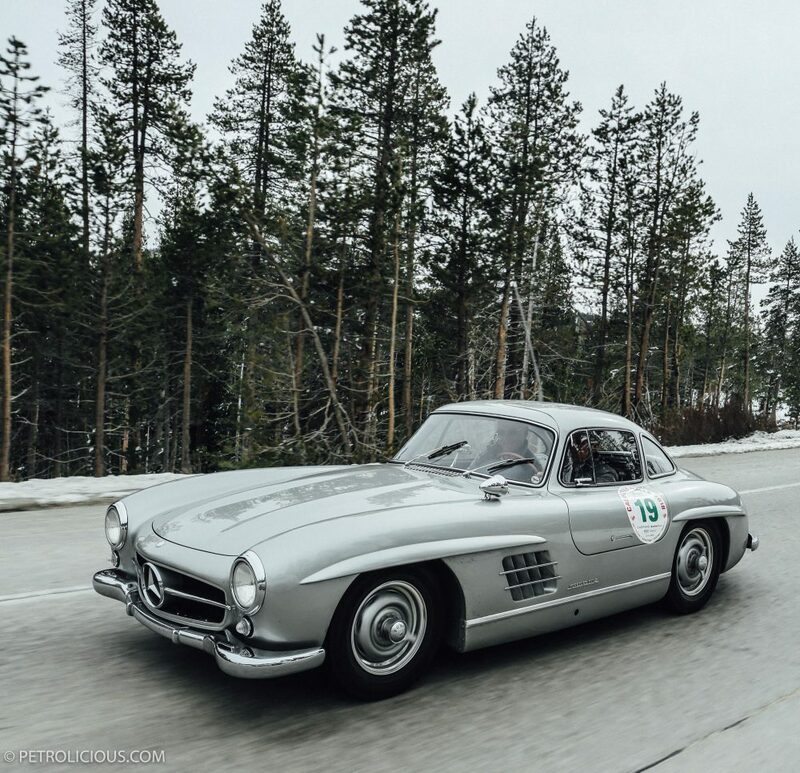 We became fast friends, wincing in unison as little pellets of hail pinged on the bodywork and tapped on the retractable roof during the rain on Monday morning. 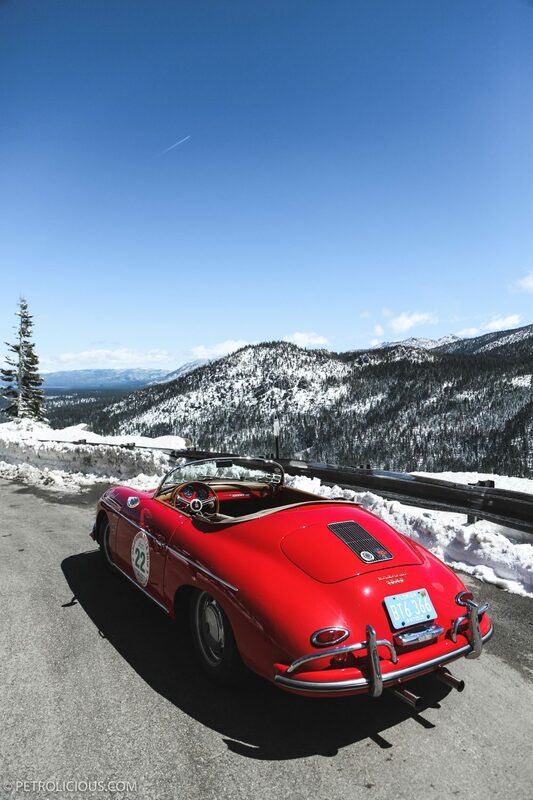 The weather during the Mille certainly spanned the gamut, and soon we were back in the sun with the roof stashed where it should be. 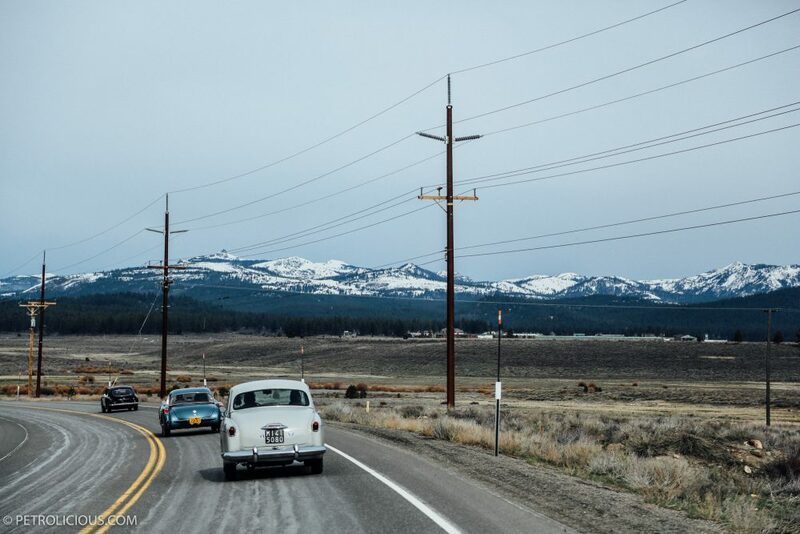 A few days later as we approached Lake Tahoe, we would stop on the side of the road for an impromptu snowball fight. 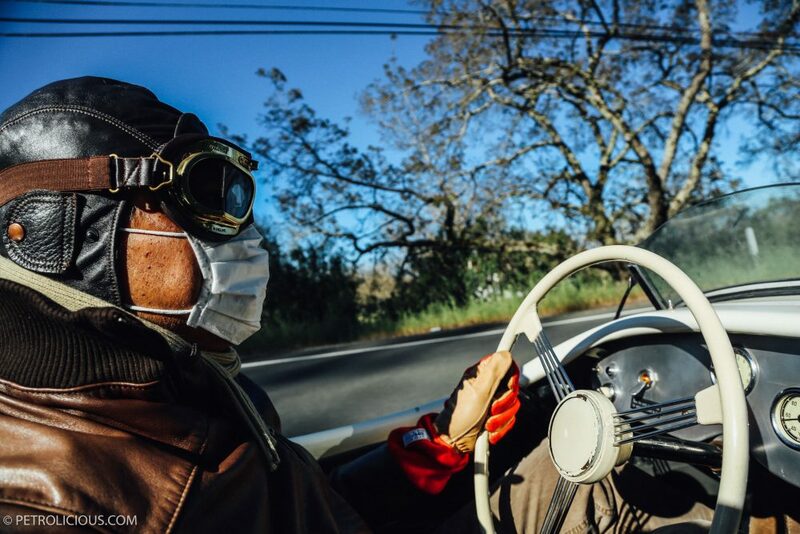 Before I switched seats to ride along in Akira Takei’s unique BMW 328—a relative of the model that made a significant impact on the Mille Miglia in period—we had the pleasure of meeting up with an old friend of Petrolicious when Conrad Stevenson stopped on the side of the road to help us get the Porsche running properly. 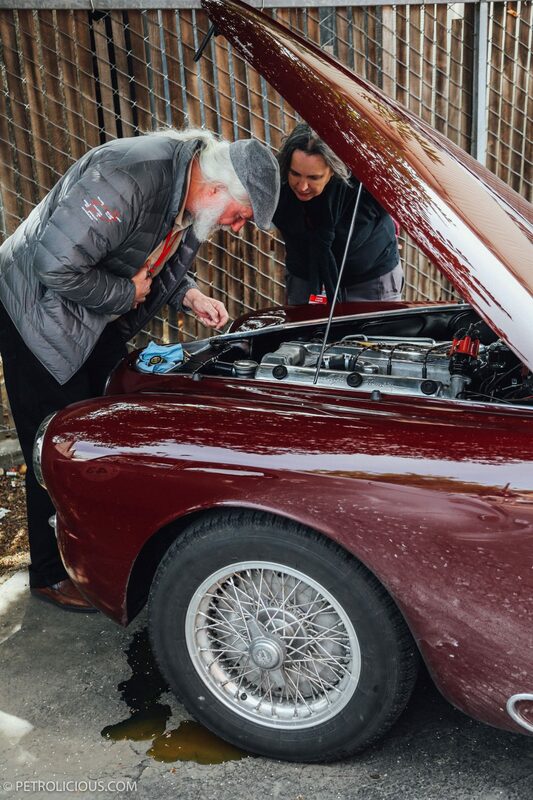 You may recall Conrad from our film on him and his special Giulia SS, and after swapping the plugs and retuning the jets on the carbs he had our Porsche back in top form, and throughout the event he and the two other talented mechanics that followed the 60-car crew provided peace of mind as well as a few more friendly faces to chat cars with over a glass of wine in the evening. 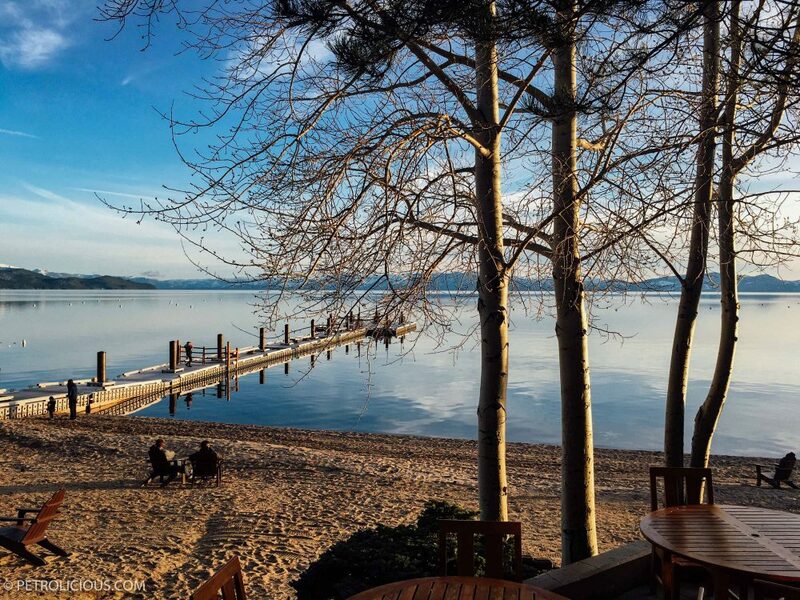 I remember one such occasion on the beach of our lakeside hotel in Tahoe as the perfect evening: after a long day of spirited driving alongside emerald pines and snowbanks in the mountains, unwinding with a cocktail in hand and a view of the lake surrounded by friends was hard to beat. 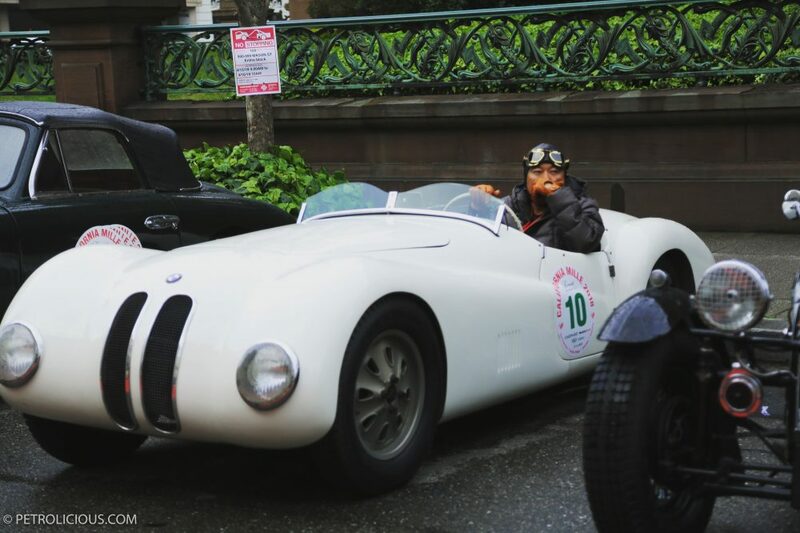 After saying a temporary goodbye to Bruno and his lovely red Porsche, I had the chance to spend some time in the streamlined BMW, and though many of the other participants were a bit reluctant to sit shotgun in the car that’d been swinging its tail out around most corners, I found Akira to be a more than competent driver who was never out of control despite the sounds made by his BMW’s skinny tires. 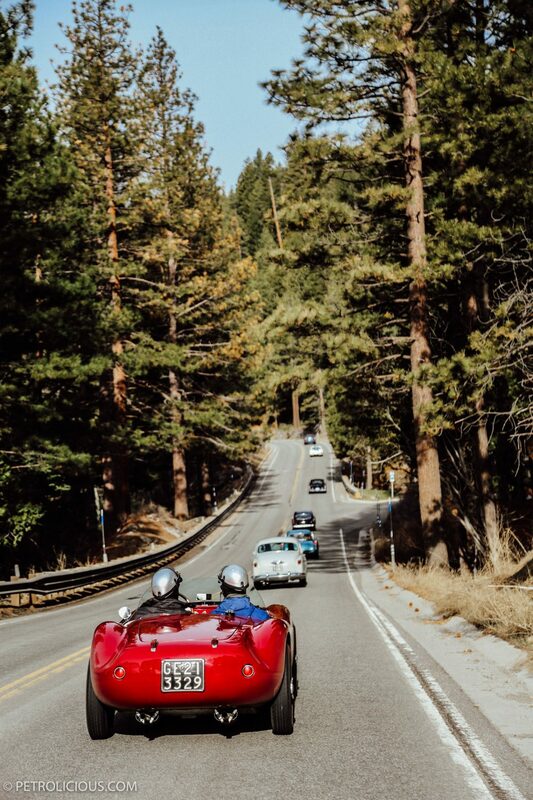 It was a blast, pure and simple. 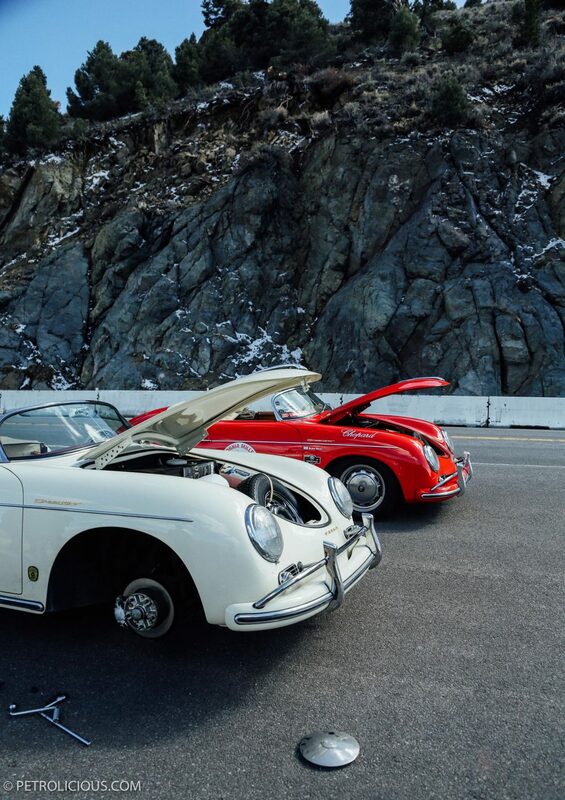 As was my next move in this game of musical cars. 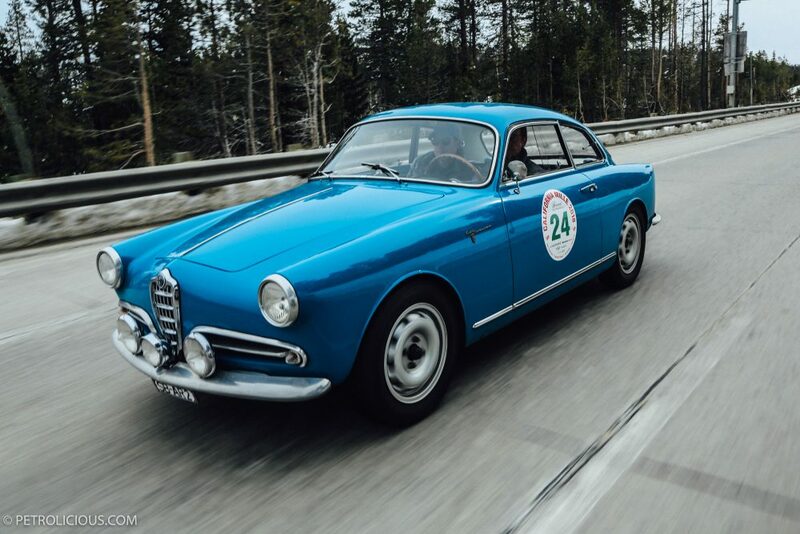 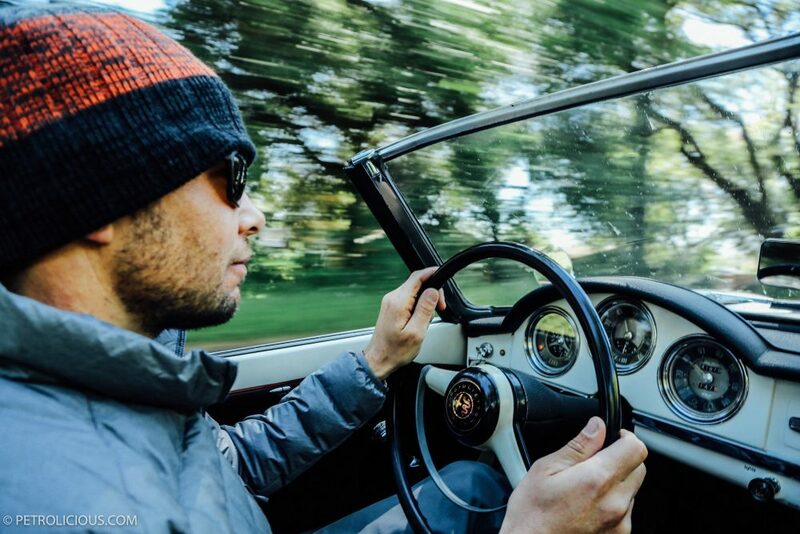 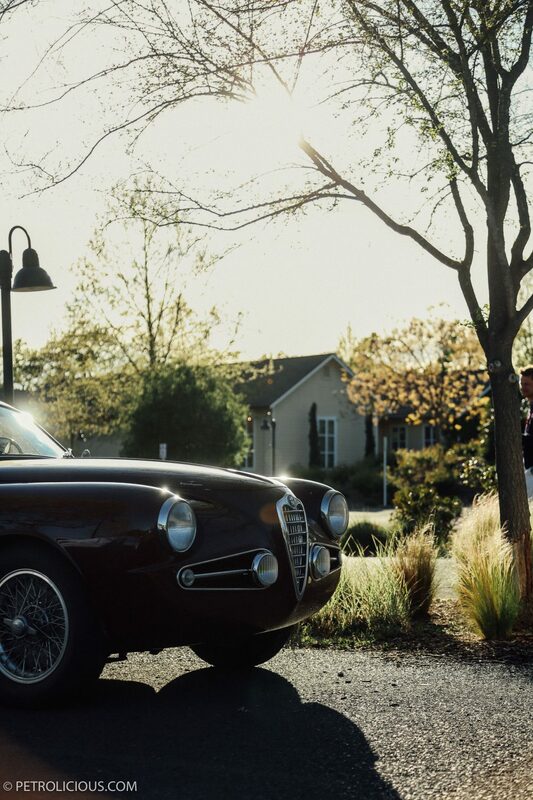 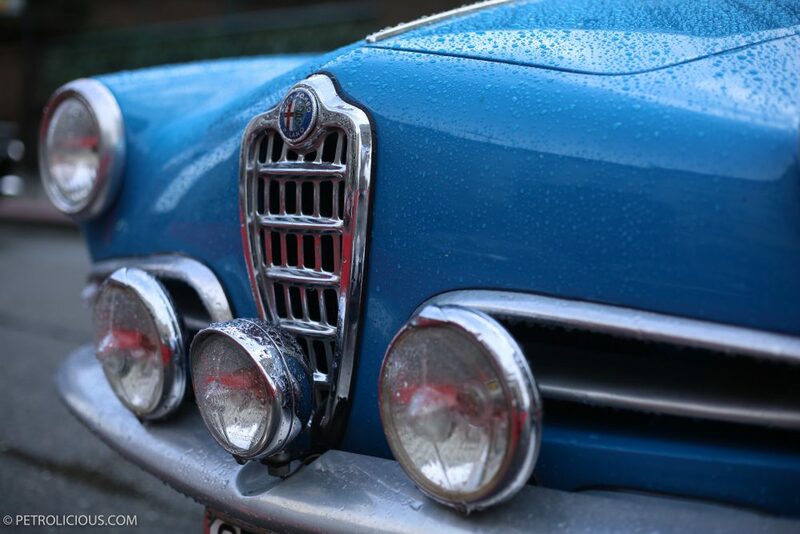 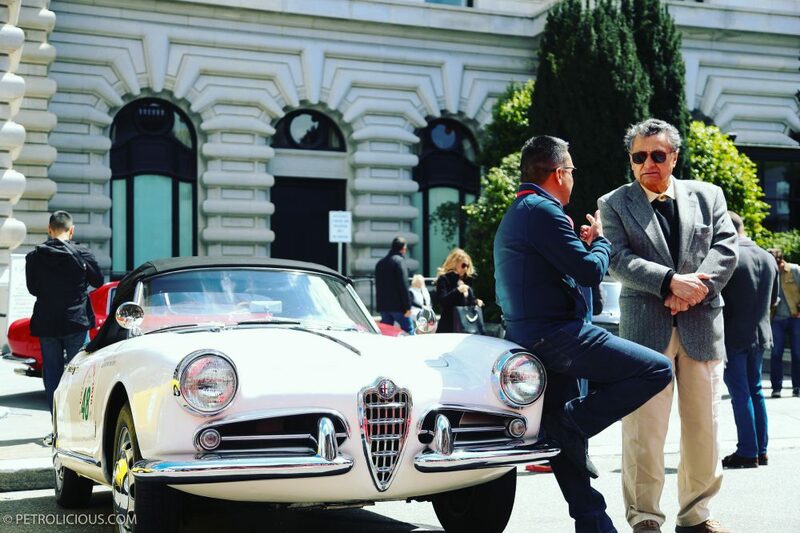 Getting in my element—an Alfa—I was thrilled to find that the driver of the white Giulietta Spider was my friend Spencer Trenery, a man who knows his way around a car and a corner. 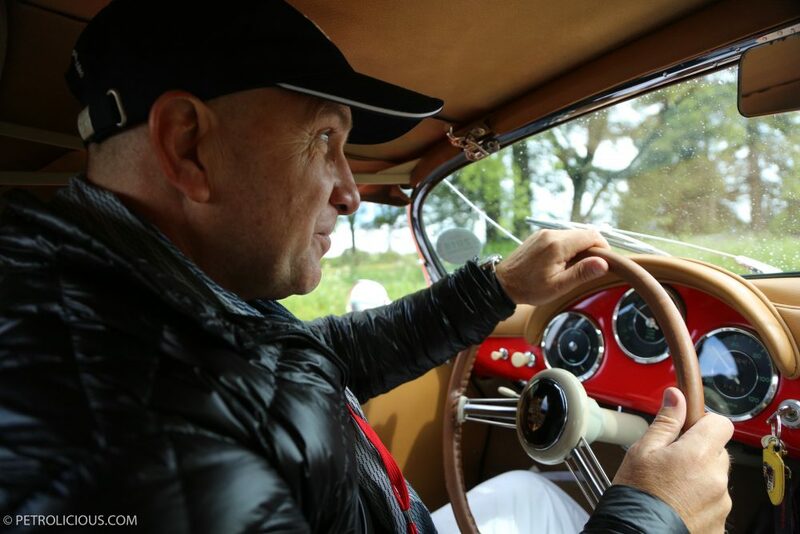 In contrast to the eager torque of the BMW, the Alfa experience was much more about keeping the momentum, and so I was treated to two talented drivers really pushing some iconic cars to their limits, each being a wholly different feeling than the other despite the surface similarities. 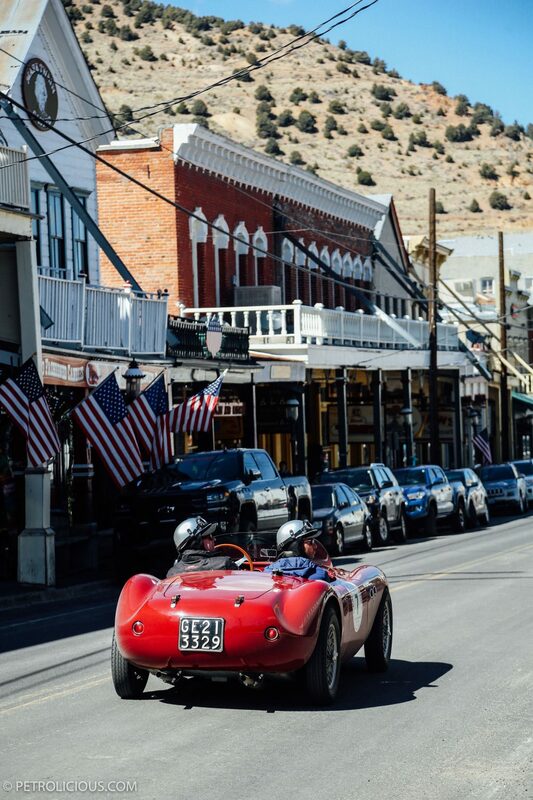 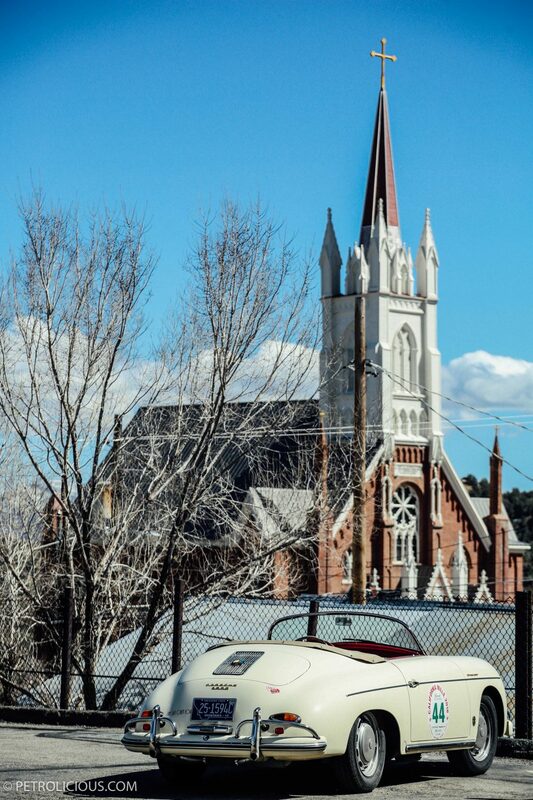 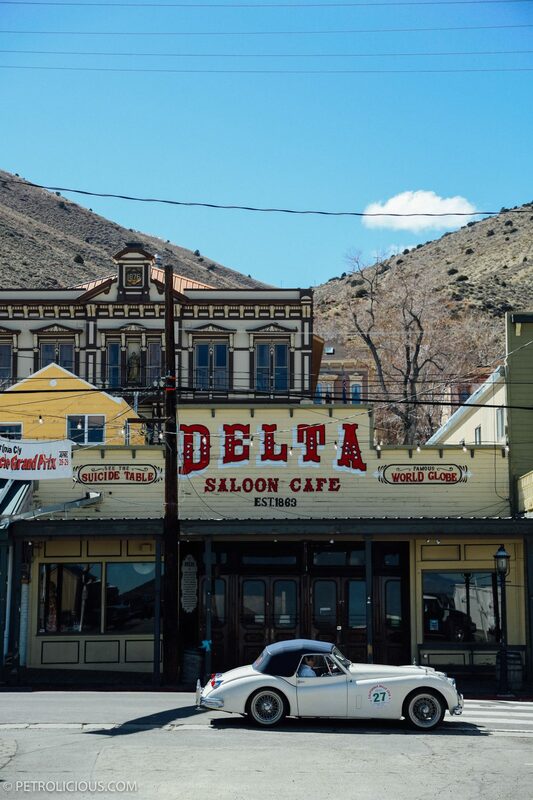 Between the odd juxtaposition of vintage European metal set against the old western main street of Virginia City, NV, meeting couples that traveled from as far as Switzerland and Australia to be here, and getting seat time with some terrific pilots in some of my favorite cars, the California Mille delivered on its promises and then some. 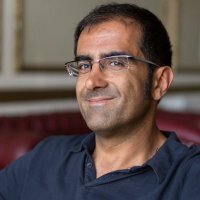 Very well written Afshin, possibly the first Cal Mille story that makes me feel like I’m there. 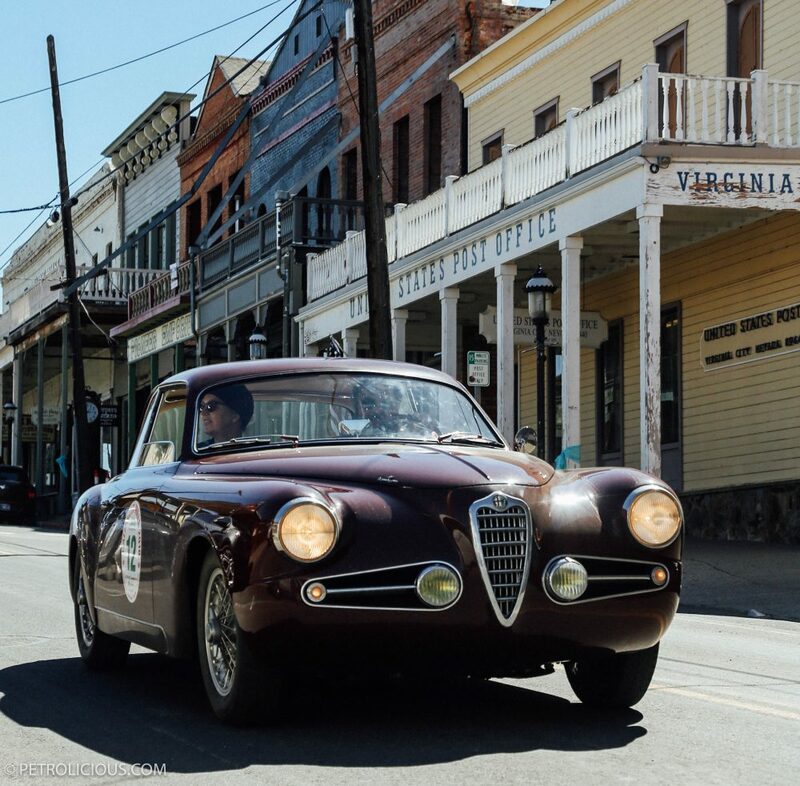 I wish Conrad Stevenson was nearby, every time I drive my Giulietta.